Manuka honey benefits for health and beauty have been celebrated for centuries, ever since it was used by the Maori community in New Zealand because of its incredible anti-bacterial and healing properties (it can even be used as a hay fever remedy), and celebrities including Gwyneth Paltrow and Scarlett Johannson are said to be big fans. Produced in New Zealand by bees that pollinate the Manuka bush, Manuka honey is widely regarded as one of the most unique and beneficial forms of honey in the world. There are many Manuka honey benefits that range from healing sore throats and digestive illnesses to curing infections and gingivitis. There are proven results to show that yes, even though it’s not a raw honey – a type usually associated with health benefits – Manuka honey works, but perhaps because of the price, a lot of people ask if there any downsides to using Manuka honey. As you may have guessed, it is a specialist product, and to really see and feel the Manuka honey benefits you need to get the proper stuff (sadly, not all honey is created equal). So, before you shop, make sure that you’re getting the real deal. Proper Manuka honey comes from New Zealand, and will have a UMF (Unique Manuka Factor) rating of 10+ or more on its label. Cheaper imitations are likely to be less effective. The UMF number refers to the level of anti-bacterial property in the honey at the time it was packaged. Manuka honey with a UMF less than 10has a low level of activity and may not be effective for some medical conditions. The ideal potency is generally considered to be between UMF 10 and 18. Whereas some people have reported sensitivity to Maunka honey above UMF 20 because of its strength. Experts say that to reap the Manuka honey benefits, you should take a dose of about 1-2 tablespoons a day. The easiest way to do this is obviously just take it straight for an intense hit. However, you could incorporate it into your breakfast routine by spreading it on a slice of wholemeal or granary toast, adding it to your yoghurt or porridge, or spooning it into a herbal tea for some added sweetness. Manuka honey’s healing properties make it a great all-round wonder food. ‘It has anti-viral, anti-microbial and anti-bacterial properties, and can be used to boost the immune system to help fight off illness and improve skin conditions. It also soothes a sore throat, and can be used externally on cuts, wounds and ulcers to assist with the healing process,’ says Rick Hay, resident nutritionist at Xynergy. Manuka honey benefits include improving the health of your gut and banishing bloating. ‘It can help reduce inflammation from digestive disorders, relieving abdominal discomfort and bloating. It contains a natural pre-biotic, which is important for nurturing the gut’s good bacteria, and can therefore help the digestive system rebalance itself naturally,’ says Liliana Trukawka, nutritional therapist at Comvita. Pure Manuka honey is an ideal staple to give you a buzz when you’re feeling tired. ‘The honey’s high nutrient density makes it a great natural energy booster,’ says Rick Hay. Just because it’s a specialist product, doesn’t mean you can’t buy Manuka honey from the supermarket. Tesco stocks Manuka, as does Aldi and health shops such as Whole Foods and Holland & Barrett with one of the most popular brands being Manuka Doctor Active Manuka Honey, £49.95 and Rowse, £18.49. 1: Mash ¼ of an avocado in a mixing bowl and once it is smooth add 1 teaspoon of coconut oil and 1 teaspoon of Manuka honey. Mix together thoroughly. 2: With slightly damp fingers, apply the mask in a circular motion and then leave on for 15 minutes. 3: Once the mask has done its work, remove it with warm water and then proceed to splash cold water on your face to close your pores. 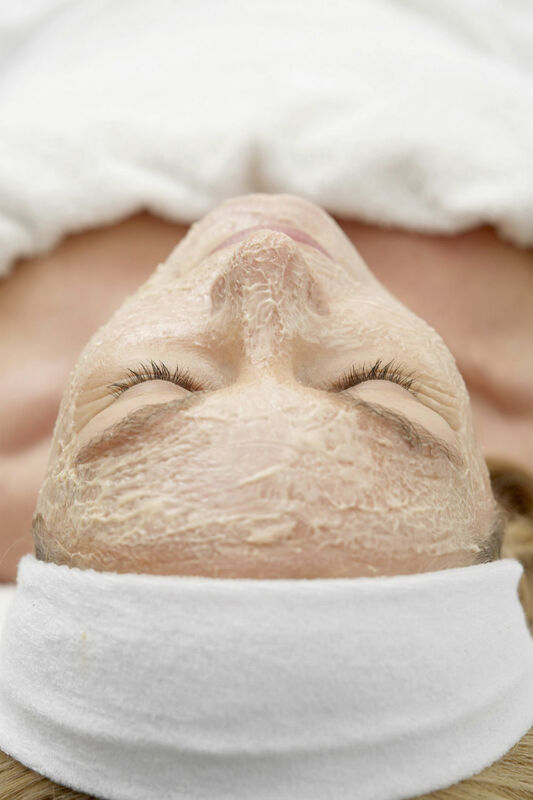 ‘This exfoliating mask contains three key components: olive oil, brown sugar and Manuka honey. They are all natural and effective ingredients that intensely cleanse the pores. The olive oil is used for softening the skin, the brown sugar for a gentle exfoliation and the honey to soothe,’ says Malvina Fraser. 1: Take 1 tablespoon of extra virgin olive oil, 1 table spoon of brown sugar and 1 table spoon of Manuka honey and mix well until your scrub becomes a viscous and slightly sticky mixture. 2: Apply to a damp face for 1 to 2 minutes, concentrating on any problem areas. 3: Clean your face with warm water, and finish up with a moisturiser for a longer lasting effect. 1: Ensure that you use full-fat milk and pure Manuka honey. 2: Pour 1 to 2 cups of milk and half a cup of Manuka honey into a running bath. Make sure that the water, honey and milk are completely mixed together before getting in. 3: For maximum results, be sure to massage your skin with a washcloth in a circular motion, before rinsing off.